It was a rough end to 2015 and it's been a very rough start to 2016 for me, personally. That's why my posts here have been so non-existent and sporadic to say the least. Today, I wanted to share a daily devotion I received way back in early December 2015, but am only getting around to reading right now. It's definitely worth your time particularly in this current climate of "Pollyannas" and "Peter Pans" within Christ's Church. Winston Churchill said, "A fanatic is someone who can't change his mind and won't change the subject." There is a big difference between godly zeal and downright fanaticism. Knowing the difference is important to a balanced life and a godly ministry. Especially our pastors must be quite clear about this distinction. God calls the ministers of the Word to be zealous in the proclamation of the truth. However, they must remain within proper bounds in their advocacy of the truth. Inappropriate methods will not advance the message of the gospel in the world. Even if the enemies of the truth use every trick and weapon at their disposal, we may not reply in kind. We may not "fight fire with fire." Sometimes quiet suffering is the appropriate response to the bad behavior of others. I don't always follow my own dictum, however I found that biting back to be frightfully counter-productive (especially on social media!). If your reputation for probity is well known, responding in kind is not only useless, it can tarnish your good reputation. We should pray for those who attack us and we should speak well of such persons, even though they might be attacking and slandering us. This is Christ's own way. This is a path from which we may not diverge. He prayed for His persecutors and slanderers. Jesus never fights back, although He has both the power and the right to do so, because He wants to break the cycle of warfare that arises out of the maddened heart of man. Only He can do it. He does for us. As His servants, we ought to do no less. He has never treated us as we have treated Him, but has been patient and forbearing with us. He has absorbed into Himself every bit of our animosity and anger against God and man. By this absorption animosity will not come back into our hands. It is no longer a weapon for us to use. Our Lord has taken it away in Himself on the cross. Our only weapon is the Word from which we may yield nothing, although our goods and reputation might be lost in the process. We may not go beyond the sword of the Spirit, which is the Word of God. There is no better or greater weapon for us Christians, in any case. How could anger or invective or bitter insults improve what God has given us? It couldn't. So why resort to it? We should not exasperate the faithful by viciousness. The Word of God is not improved thereby. However, we must stand fast in the Word of God against all comers. That alone will be a peaceful course of action. These words struck close to home this week (every week it seems nowadays). @LutheranLayman ...said no prophet, no apostle, no church father, and no reformer...ever. @swimtherhine Amazing, isn't it? Makes you wanna just pound your head against a wall whenever a dear brother/sister in Christ says this. This has been the story of my life for the past few years now. Oh, how I wish that some dear brothers and sisters in Christ that I know (and still love!) would understand that it's never anything "personal" as if I'm speaking up just because I'm looking to start a fight and then win a doctrinal debate. No! For starters, it's usually only ever because I love the Lord as much as they proclaim to, and yet, I see them killing themselves spiritually and I don't want to see them end up hurt by the spiritual poison they're drinking and swallowing each and every week. The worst part for me is when these same dear brothers and sisters ASK ME FOR MY OPINION AND PERSPECTIVE on a particular topic, but when I give them my response, which is always rooted in God's Word and our Confessions, they not only reject it, but they also reject me, and the cycle of silence continues. I ask you, is this really the proper way to behave when we so loudly promote a mission statement that says "To Make More And Better Disciples of Jesus Christ!" when the very act of "discipleship" needs to be built upon the foundation we find in 2 Timothy 3:16-17, 2 Peter 1:20-21, 2 Timothy 4:2, Proverbs 27:5, Proverbs 27:17, Luke 17:3, and Ecclesiastes 7:5 among many other passages? At the same time, I fully recognize that I need to constantly remind myself that my own responses need to be tempered by the Word of God as well. John 13:16 (ESV) Truly, truly, I say to you, a servant is not greater than his master, nor is a messenger greater than the one who sent him. 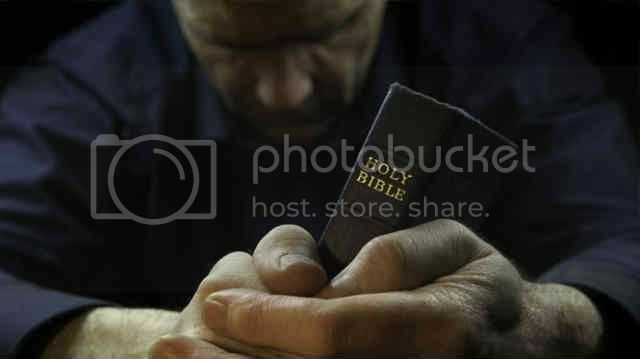 John 15:20 (ESV) Remember the word that I said to you: 'A servant is not greater than his master.' If they persecuted me, they will also persecute you. If they kept my word, they will also keep yours. "We are not undisciplined in our exercise of discipline. We do not hurl insults, as many do, who attack not the argument but the speaker, and sometimes strive by their invective to hide the weakness of their reasoning; as cuttlefish spread ink before them, in order to escape from their pursuers, or to hunt when unable to be seen. But we show that our warfare is on behalf of Christ by fighting as Christ, who is peaceful and meek (Matthew 11:29) and bore our infirmities (Isaiah 53:4), would have fought. Though peaceable, we do not injure the word of truth, by yielding a little (Matthew 5:18), just to gain a reputation for reasonableness. We do not pursue that which is good by ill means. We are peaceful because we use a legitimate form of warfare, confined as it is to our own limits and the rules of the Spirit. Upon these points I lay down the principle for all stewards of souls and dispensers of the Word: Do not exasperate others by your harshness, nor render them arrogant by just submitting to them, but use good words in treating of the Word, and in both directions keep a proper balance." In a Lutheran layman's terms, yes, "sometimes quiet suffering is the appropriate response to the bad behavior of others." Lord, please help me to know when to speak up and when to remain silent. NOTE: Please understand that I'm not a called and ordained minister of God's Word and Sacraments. I'm a layman or just a regular Christian, Corporate Recruiter, Husband, Father, Friend who lives in the "City of Good Neighbors" here on the East Coast. To be more specific, and relevant to the point I want to make with this disclaimer/note, please understand that I'm also a newly converted Confessional Lutheran who recently escaped American Evangelicalism a little more than 2 years ago now. That being said, please contact me ASAP if you believe that any of my "old beliefs" seem to have crept their way into any of the material you see published here, and especially if any of the content is inconsistent with our Confessions and Lutheran doctrine (in other words, if it's not consistent with God's Word, which our Confessions merely summarize and repeatedly point us back to over and over again) so that I can correct those errors immediately and not lead any of His little ones astray (James 3:1). Also, please be aware that you might also discover that some of the earlier pieces I wrote for this blog back in 2013 definitely fall into that "Old Evangelical Adam" category since I was a "Lutheran-In-Name-Only" at the time and was completely oblivious to the fact that a Christian "Book of Concord" even existed (Small/Large Catechism? What's that!?!). This knowledge of the Lutheran basics was completely foreign to me even though I was baptized, confirmed, and married in an LCMS church! So, there are some entries that are a little "out there" so-to-speak since the subject matter was also heavy influenced by those old beliefs of mine. I know that now and I'm still learning. Anyway, I decided to leave those published posts up on this website and in cyberspace only because they are not blasphemous/heretical, because we now have this disclaimer, and only to demonstrate the continuing work of Christ and the Holy Spirit in my life (Hebrews 12:2; Philippians 1:6). Most importantly, please know that any time I engage in commenting on and/or interpreting a specific portion of the holy Scriptures, it will always closely follow the verse-by-verse notes from my Lutheran Study Bible and/or include references to the Book of Concord unless otherwise noted. Typically, I defer to what other Lutheran Pastors both past and present have already preached and taught about such passages since they are the called and ordained shepherds of our souls here on earth. Finally, I'm going to apologize ahead of time for the length of most entries (this disclaimer/note is a perfect example of what I mean! haha). I'm well aware that blogs should be short, sweet, and to the point, but I've never been one to follow the rules when it comes to writing. Besides, this website is more like a "Christian Dude's Diary" in the sense that everything I write about and share publicly isn't always what's "popular" or "#trending" at the time, but is instead all the things that I'm studying myself at the moment. For better or for worse, these posts tend to be much longer than most blog entries you'll find elsewhere only because I try to pack as much info as possible into a single piece so that I can refer to it again and again over time if I need to (and so that it can be a valuable resource for others -- if possible, a "One-Stop-Shop" of sorts). Thank you for stopping by and thank you in advance for your time, help, and understanding. Feel free to comment/email me at any time. Grace and peace to you and yours!